The Federal government, along with state and local agencies, regulates food safety through the Department of Health and Human Services’ (DHHS) and the Food and Drug Administration (FDA). Their mission is to ensure the U.S. food supply is “safe, nutritious, and wholesome.” The agencies also monitor and approve food labeling and warning standards. However, despite their efforts, food poisoning remains a common ailment in the state of Alabama. The CDC estimates that around 48 million cases of food poisoning occur every year with 128,000 being hospitalized and about 3,000 deaths. These cases are very common, but difficult to prove. This is why it is important to make sure you hire a good attorney who can properly represent you and collect evidence. There are hundreds of bacteria and viruses that can contaminate your food, but it is difficult to prove which meal caused food poisoning. Defendants need to be able to prove that the food was defective and or not properly prepared. If you have fallen ill to food poisoning, you should seek medical attention and documentation from the doctors that can be used as evidence. When multiple people are affected, it is easier to prove there was contamination. Conditions like Salmonella or E-Coli do not present themselves for at least 24 hours, so having nausea or stomach problems does not necessarily mean that it was the previous meal. This is why having a written doctor’s note is needed. If you have fallen seriously ill because of a food product you purchased from a grocery store or ate at a restaurant, contact our firm to review your rights. Remember there may be time limits, within which you must make a claim or file a lawsuit. 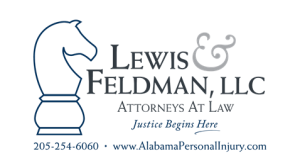 Contact an Alabama food poisoning lawyer now for a free initial consultation and case evaluation by calling the Birmingham personal injury law firm of Lewis & Feldman, LLC locally at 205-254-6060, toll-free at 888-295-7409 or complete our contact form. You can also email us at jon@LewisAndFeldman.com and dfeldman@LewisAndFeldman.com. Our Birmingham based law firm may be able to help you resolve your food poisoning case and collect compensation for your illness. Although our law firm is based in Birmingham, AL, we handle poisoning cases throughout the state of Alabama.